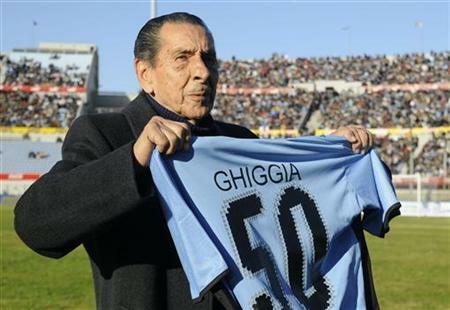 Ghiggia predicted the 5-0 scoreline between Uruguay and Jordan and now more than ever there is reason to believe. 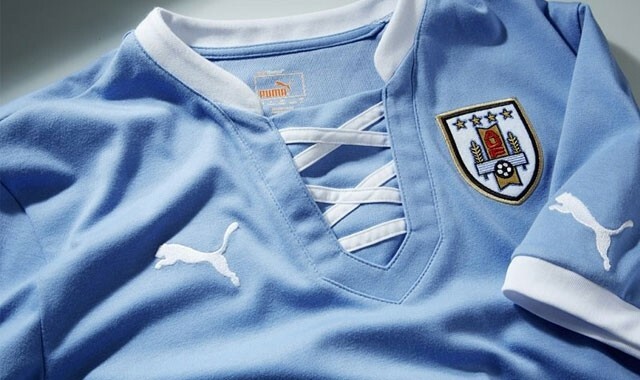 I urge all the Jordanian players, coaching staff, fans and journalists to come to Montevideo to celebrate with Uruguay. It’s going to be an experience you will never forget. Everyone will be partying like it’s 1950 again. You will be playing in the stadium where the first World Cup was held and playing in the country where the first World Cup was won by Uruguay. Don’t worry about the result as it really doesn’t mean much considering all the world’s troubles. Football for Uruguay is something more than a game and helps people forget all the daily issues that they need to deal with, it’s an escape from reality and the passion will be there. The stadium won’t be as intimidating as it usually is, sure the people will be passionate but it’s not like it would be if it was the first game. Now with a five goal start and considering they are five away goals which count as two, everyone will be very calm and enjoying it as a spectacle. 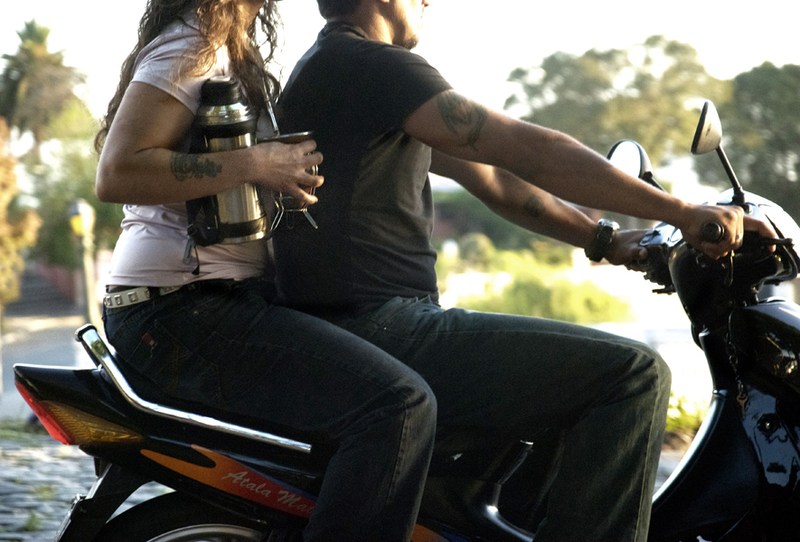 While looking at the Tenfield.com site I came across an ad for a company called Poipes.com. 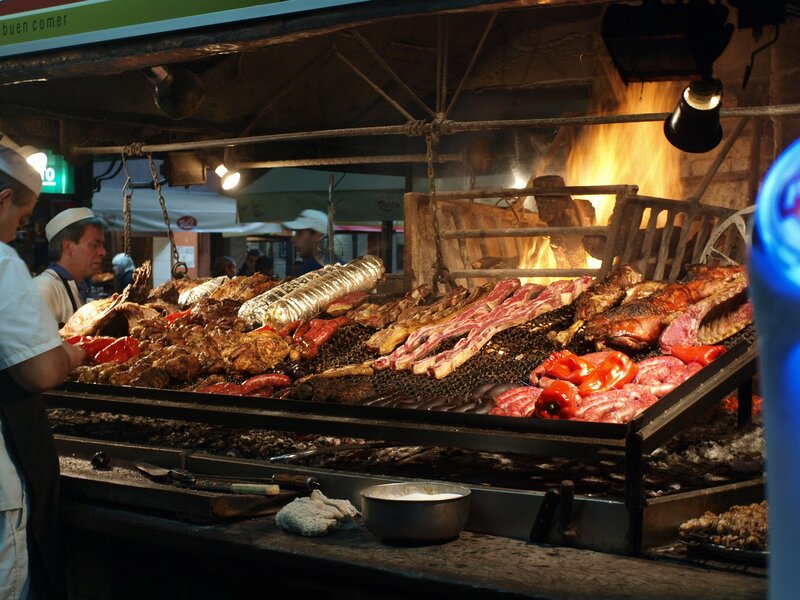 Poipes offer the Uruguayan Football League, Uruguayan Basketball and the Uruguayan Carnival. What got my attention was not so much the live games that the site offer but the devices that you can use to watch. 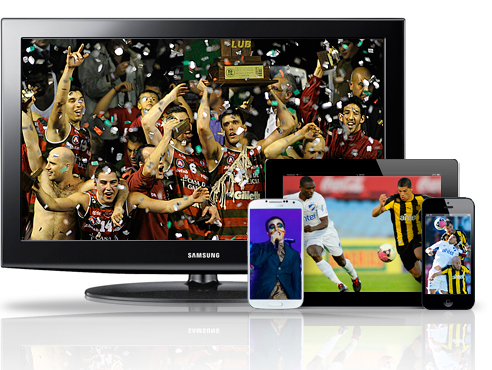 Poipes offer being able to watch on your iPhone, iPad, Android, Windows Phone, Smart TV and PC however only one connection at a time with your subscription of $US 9.99 per month. What really got my attention was their library which offers all the shows that I enjoy watching however am not always able to watch due to the time difference between Uruguay and Australia. These are the type of shows I want to watch but Adinettv don’t offer on demand. I don’t understand why they don’t as it’s very frustrating paying for a service which during our prime time in Australia, Adinettv offer tarot card readings for hours and hours. I just end up watching as much football live as possible and if I’m lucky catch Sin Limite or one of the other football shows. Now with Poipes I can watch any time I want. I can Airplay onto my Apple TV not having to worry about connecting my HDMI cable to my TV and laptop. I have signed up (which is all in Spanish) and I payed with Paypal. I’m testing the service and will comment from time to time to let everyone know what my experience is. I had a few buffering issues at first for a few minutes but now I have been watching for an hour without any drop outs. The quality is the same as Adinettv though that is very dependent on your own download speeds which aren’t very good in Australia. It’s been a great experience and enjoying Pasion though not very happy watching the highlights of Fenix losing!!! Well done Poipes for bringing Uruguayan Futbol to the future. Cristian Gabriel Rodriguez Barotti aka Cebolla (Onion) lived up to his nickname. He got his nickname during his Peñarol days for making the opposition cry. 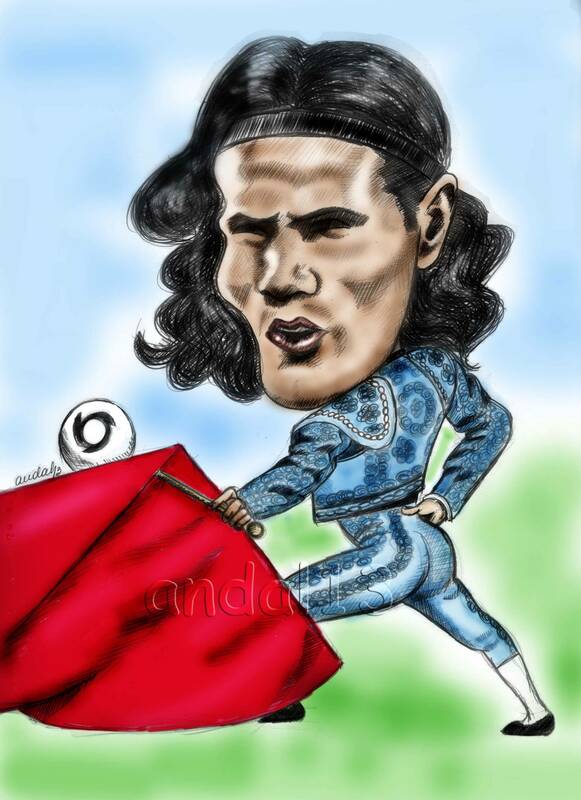 Cebolla recently turned 28 years old and is reaching the peak of his football career. Cristian is currently playing for Atletico Madrid and has come on as a sub on numerous occasions and has previously played in Portugal for Benfica and Porto. 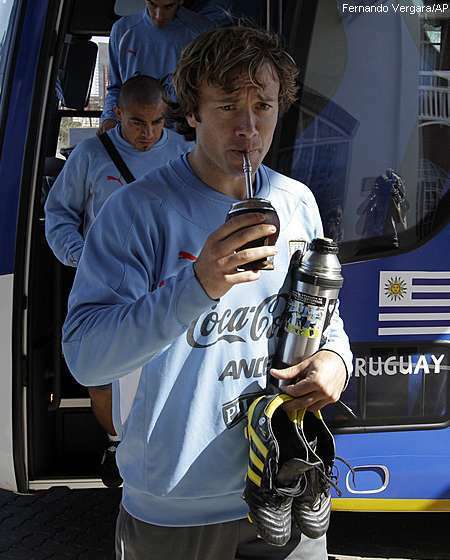 During the last World Cup qualification campaign for 2010 Cebolla was involved in an incident in the final game against Argentina in Montevideo. 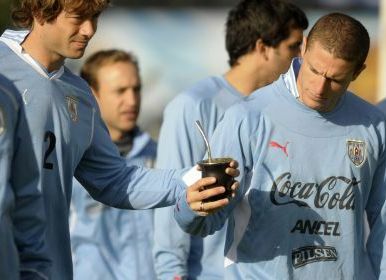 When the game finished Cebolla and Argentine defender Gabriel Heinze were involved in an incident where it was alleged that Cebolla assaulted Gabriel and was suspended for 4 games. The four match suspension weighed heavily on not being selected for South Africa 2010. 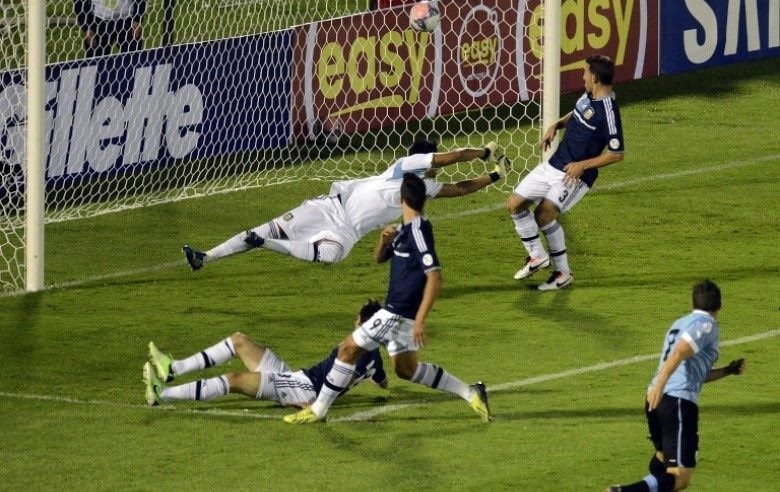 This would have been devastating for Cebolla who would have been an automatic selection for the World Cup. You could feel and sense just what this game meant to Cebolla today, his performance was outstanding and not only did he score the first goal but was instrumental in the midfield with powerful runs and a relentless attitude. 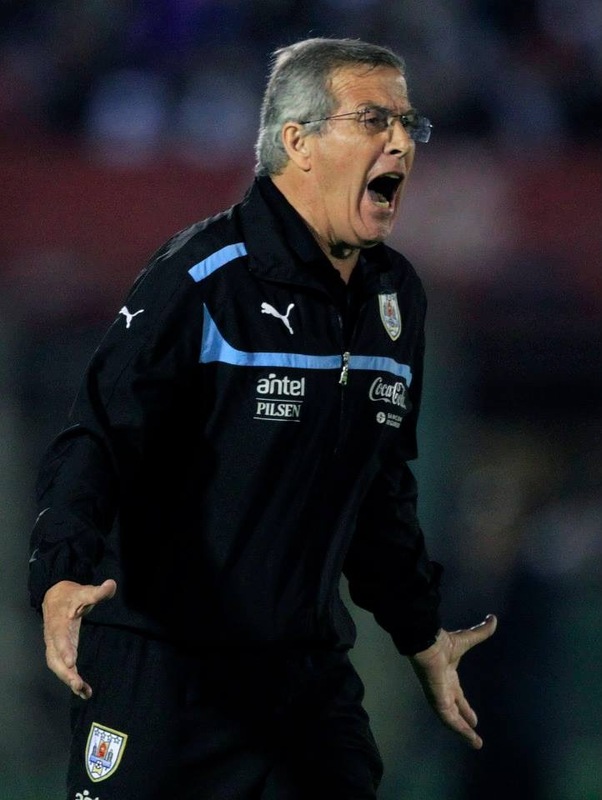 Cebolla has waited 4 long years for this game and now Uruguay are just two games away from reaching the 2014 Brazil World Cup. Uruguay have once again achieved the 5th position in the CONMEBOL World Cup qualification which means they go into a playoff against the fifth round winner of the AFC World Cup Qualification. Jordan beat Uzbekistan over two home and away legs on penalties 9-8 after the two 1-1 draws. 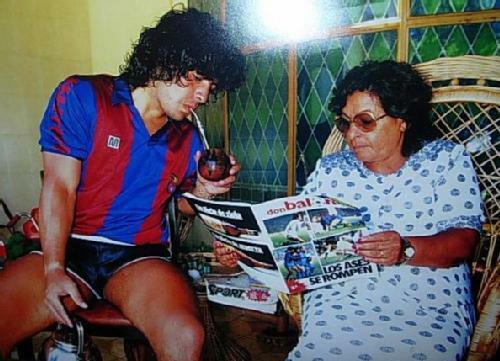 El Maestro has found the Uruguayan Jordan handbook with highly classified material. Jordan have never qualified for the World Cup, have appeared only twice in the Asian Cup reaching the quarter final stage. 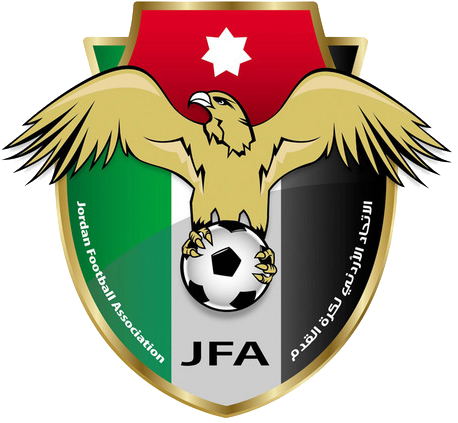 Jordan is two-time champion of the Pan-Arab Games, while hosting the West Asian Football Federation Championship and the Arab Nations Cup. Jordan are ranked 71 in the World with their highest ranking being 37 and their lowest ranking being 152. Jordan’s head coach is Hossam Hassan Hussein born in Cairo Egypt. The 47-year-old manager was a prolific goalscorer in his day and is Egypt’s all time scorer, scoring 68 goals in 176 appearances. Talking about leading goal scorers, Uruguay also have their current leading goal scorer of all time still playing. 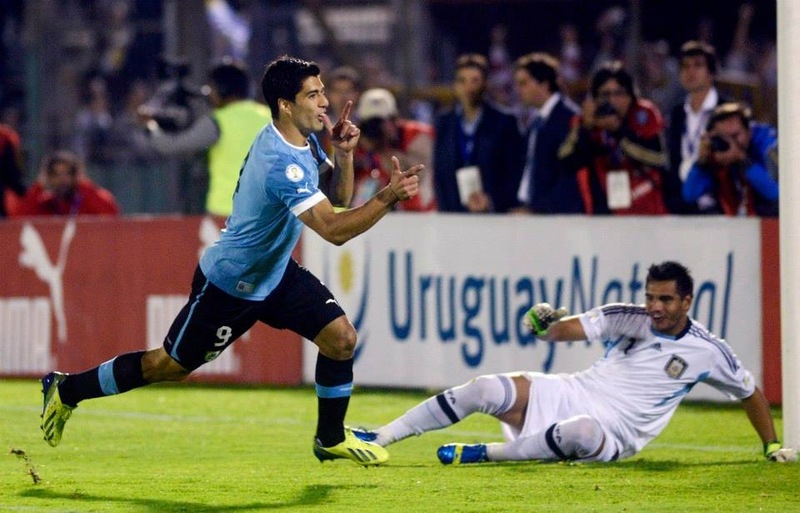 Luis Suarez is Uruguay’s all time leading goal scorer (39 Goals) and has also won the leading goal scorer of the 2014 CONMEBOL World Cup qualification (11 Goals). Luis Suarez edged out Lionel Messi by scoring a penalty today to put him 1 goal in front of Messi which is impressive considering Suarez was not always the penalty taker during the qualification rounds. Congratulations to Argentina for winning the 2014 World Cup qualification tournament and qualifying to Brazil. Congratulations to Colombia for reaching the World Cup Brazil after the frustration from the 2002 qualification where they ended up level on points with Uruguay (27 Points) but Uruguay had a +1 goal advantage qualifying in 5th spot and earning a playoff against Australia which Uruguay won 3-1 on aggregate to qualify for Korea/Japan 2002. Colombia also had the frustration of the 2006 World Cup qualification where they missed out by 1 point to see Uruguay secure 5th spot again and a playoff against Australia. 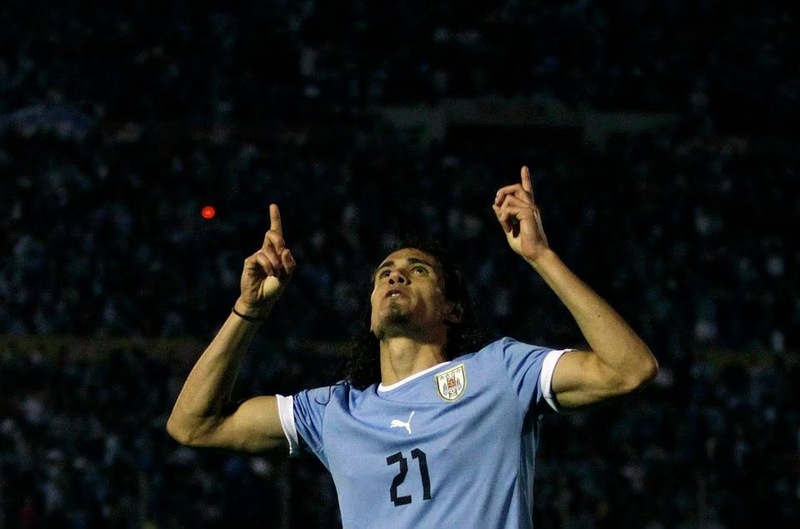 This time Uruguay stayed with Colombia as Uruguay lost on penalties 4-2 after a 1-1 aggregate. Congratulations to Chile for qualifying to Brazil in 3rd place. Congratulations to Ecuador for qualifying to Brazil after the frustration of missing out on the 2010 World Cup by 1 point which secured Uruguay for a playoff against Costa Rica. Uruguay won on aggregate 2-1 to reach South Africa 2010 and come 4th in the tournament, Uruguay’s best result since 1970. Congratulations to Uruguay for securing 5th spot when it really looked unlikely. Two games away from qualification to Brazil 2014 and because of the win today 3-2 over Argentina, Uruguay will be seeded in Pot 1 which is a fantastic achievement to maintain the FIFA ranking in the top 10 and keep all the Uruguayan’s suffering at the same time. Uruguay and Argentina have a unique football history which started in 1901 when they first played each other. 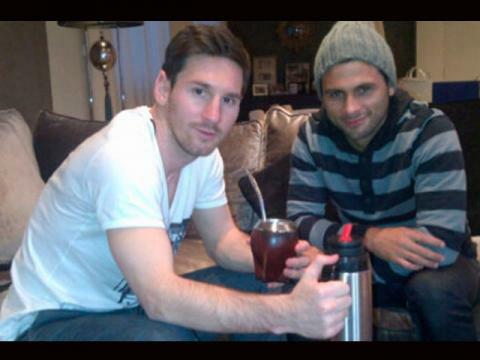 The game was held in Montevideo and Argentina won 3-2 which was both countries first international. This result could have set a precedent for the future however it provided an opportunity to physically, tactically and technically find a way to beat Argentina when the important games came around. In 1916 the South American Championship (Copa America) were held in Argentina and was played as a round robin between; Uruguay, Argentina, Brazil and Chile. Uruguay beat Chile 4-0… Argentina beat Chile 6-1…. Uruguay beat Brazil 2-1….. Argentina drew with Brazil 1-1… This left the last game of the round robin between Uruguay and Argentina… The First Final as such. The rest of the story will provide a glimpse of what was going to be seen between two great rivals in international football. The final was played at the Gimnasia and Esgrima Stadium in Buenos Aires and after only 5 minutes of play the game needed to be abandoned due to a riot within the spectators which then spilled onto the field and the wooden tribunes were torched and the match was ended as the stadium was on fire. The match was re-scheduled to Racing Club Stadium and the result was 0-0 which meant Uruguay were the first South American champions having beaten Brazil and Argentina only managing a draw. 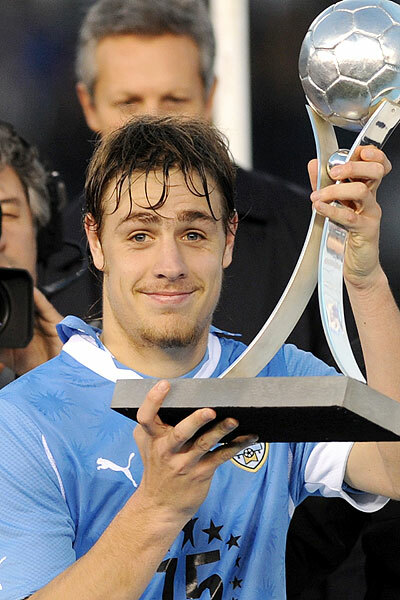 Uruguay had won it in Argentina. This tournament also provided the first opportunity for Uruguay to show just how far ahead they were in relation to racism compared to other countries not only in the region but around the world. The first game that Uruguay played against Chile in the tournament ended with a Uruguayan win but also with an official complaint from Chile regarding Uruguay selecting “Coloured” players. Uruguay fielded Isabelino Gradin and Juan Delgado who were both coloured. The complaint was dismissed by the South American Football Association. The next South American Championship were played in Uruguay in 1917 and was once again a round robin between Uruguay, Argentina, Brazil and Chile. Uruguay beat Chile 4-0… Argentina beat Chile 1-0… Uruguay beat Brazil 4-0… Argentina beat Brazil 4-2…. So once again we had a final between Uruguay and Argentina however this time a draw would not be enough for either team. Uruguay won 1-0 in Montevideo at the Parque Pereira to win the first two South American Championships. We then went on to beat Argentina in the final in 1920, 1923, 1924, 1926 and 1934. The only final they beat us in the 1920’s was in 1927. The next time Uruguay was to meet Argentina in a final that wasn’t in the South American Championship was at the 1928 Olympics held in Amsterdam, Netherlands. Argentina defeated Egypt 6-0 and Uruguay beat Italy 3-2 in the Semi Finals. The final was a 1-1 draw between Uruguay and Argentina and a replay was scheduled 3 days later. 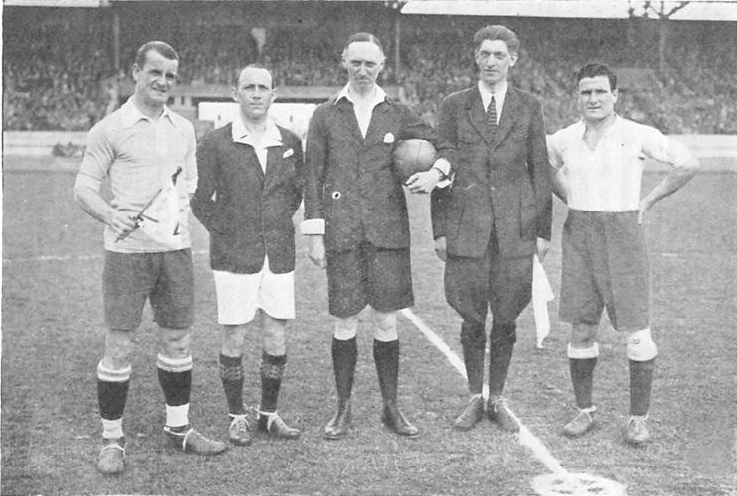 The second final was won by Uruguay 2-1 over Argentina to be Gold Medal winners and as per FIFA’s announcement before the 1924 Olympic Tournament it would be classed as a World Championship and the winner of the tournament would be world champion. Uruguay won the 1924 and 1928 Olympic Tournaments and was declared World Champion in 1924 and 1928. Once again Uruguay was able to defeat Argentina in a final and be declared world champion and current South American Champion ahead of Argentina. Then came the World Cup in 1930 and once again Uruguay were to meet Argentina in a final, a World Cup Final. 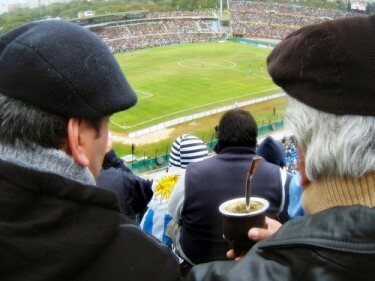 The final was held in Montevideo and the result was Uruguay 4-2 in front of 93,000 fanatical fans. 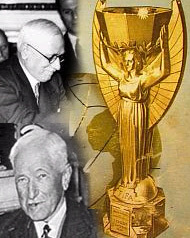 Uruguay were crowned first World Cup Winners of the Jules Rimet Trophy. Now lets jump to the present. Uruguay has 15 South American Championships, one more than Argentina. Uruguay has two Gold medals in football and so has Argentina. Uruguay has two World Cups and so has Argentina. Argentina is ranked 2nd in the world and Uruguay is 7th in the world. 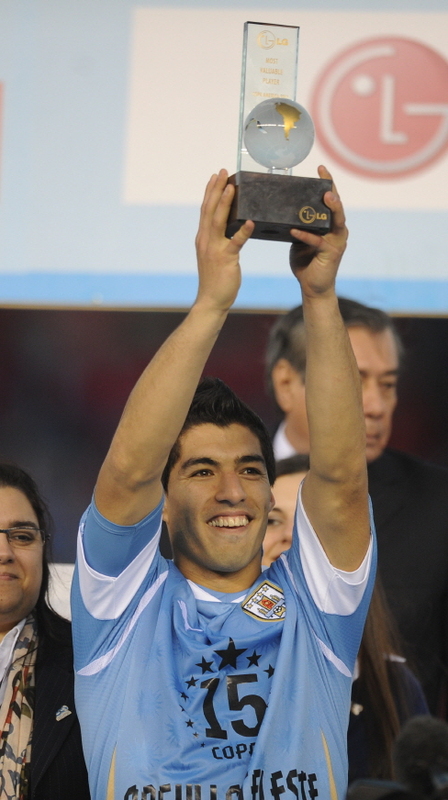 In 2011 Uruguay once again was able to win the Copa America (South American Championship) in Argentina. The World Cup qualification head to head; 2004 Argentina 4-2 Uruguay…… 2005 Uruguay 1-0 Argentina…. 2008 Argentina 2-1 Uruguay…. 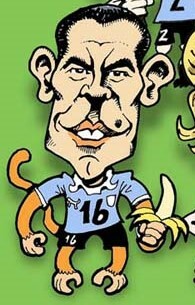 2009 Uruguay 0-1 Argentina….. 2012 Argentina 3-0 Uruguay…. 2013 Uruguay vs Argentina ???? What I can see is that Uruguay also gets the result they require depending on the game. I wouldn’t be too concerned about friendly internationals. I wouldn’t be too worried about the World Cup Qualifiers as the above results would show Argentinian superiority however we came 5th in 2005, 2009 and most likely in 2013. Uruguay have won 2 out of 3 play offs and now against Jordan Uruguay would be favourites and this could mean qualifying 3 out of 4 play offs. The objective is to reach the World Cup and then go on to win the World Cup. The game on Wednesday (Australia time) will have the extra tension due to the recent paper mill dispute that has previously seen the bridge that links Uruguay and Argentina closed by Argentina. 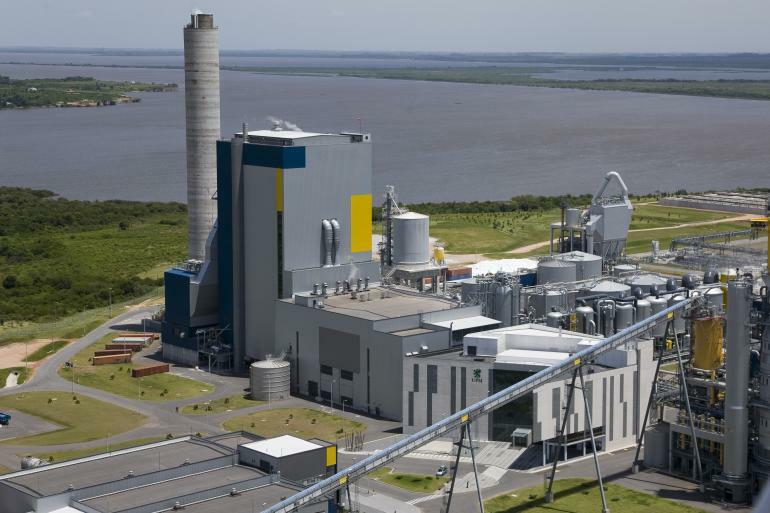 The Argentinian Government is not happy that the Uruguayan Government did not consult them over the 10% increase in production. The Argentinians believe that this will cause pollution to the water supply and wants the mill closed down. 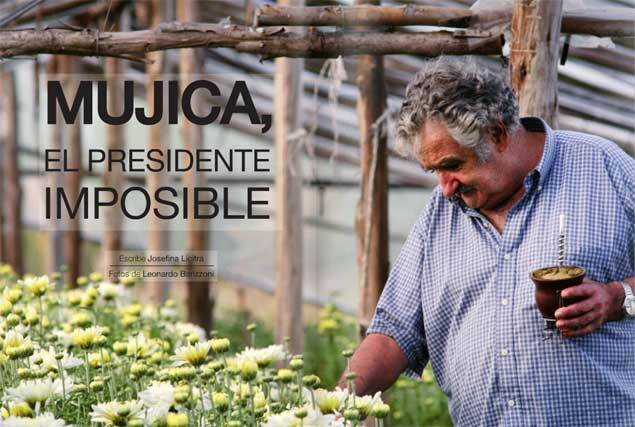 There had been an agreement in place the previous time (2006) that Argentina took the case to The Hague but the case was rejected by the International Criminal Court and now are not happy that Uruguay is increasing production. The other interesting fact about the game against Argentina is in relation to the seeding at the World Cup. At the moment Uruguay and the Netherlands are battling for the final seed. If Uruguay beat Argentina they are automatically the last seed with no dependence on the Netherlands game. The Netherlands play Turkey and will be looking for a win to ensure their place as a seed and be allocated in pot 1. So far we have the following countries in pot 1: Brazil; Spain; Argentina; Germany; Italy; Colombia; Belgium. Being in Pot 1 will mean you get to avoid all those countries at the group stage. It’s definitely in Uruguay’s interest to beat Argentina and then go on and beat Jordan in the play off, qualifying for the World Cup and go into pot 1…. Uruguay have secured 5th spot in the South American World Cup qualifiers. Today’s one nil loss to Ecuador in Quito and Venezuela’s draw with Paraguay in San Cristobal was enough for Uruguay to secure 5th spot. There is a mathematical possibility that Uruguay could qualify directly to the World Cup however firstly this is only dependent on a victory over Argentina in Montevideo. Then it’s all about the result between Chile and Ecuador in Santiago and goal difference. What looks most likely is that Uruguay will end up 5th and play a home and away play off with Jordan. 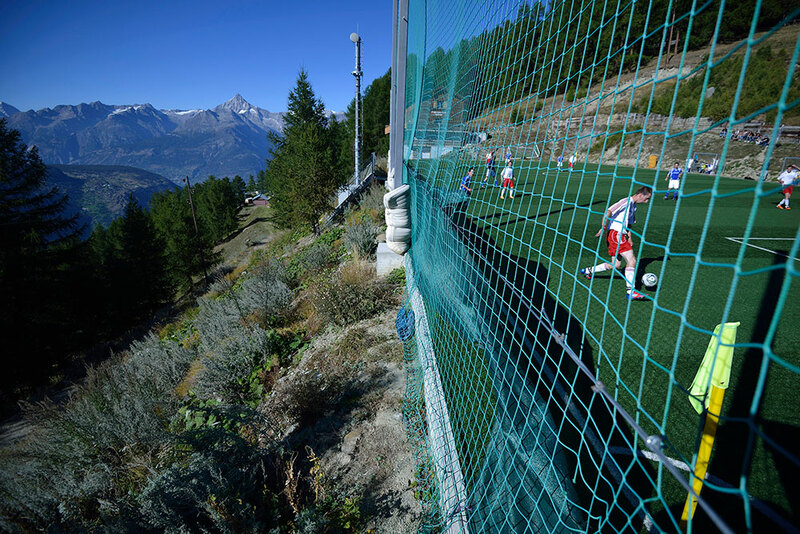 The game today against Ecuador in the clouds felt much safer with the introduction of the nets to ensure no players fell to their deaths from the 2800 meters above sea level. I have been preparing for the game against Ecuador and reading quite a few posts, especially the comments being made by the Ecuadorians. What seems to be the constant is the continuous comments stating that both Uruguay and Argentina get preferential treatment. I can understand the Ecuadorians believing this as their history is non existent. Even when Ecuador do qualify for the World Cup they don’t do too much, they don’t do much at the Copa America, they don’t do much at La Copa Libertadores or the Copa Sudamerica. If all their concerns were justifiable, then Uruguay would not have the results they have achieved at a world stage. What is very clear is that the altitude assists Ecuador but the question is what assists Uruguay? 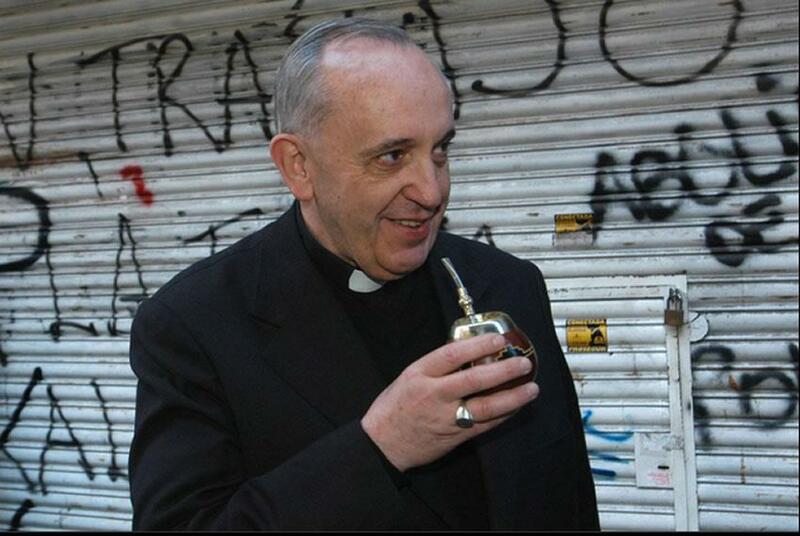 Is it the Garra Charrua? 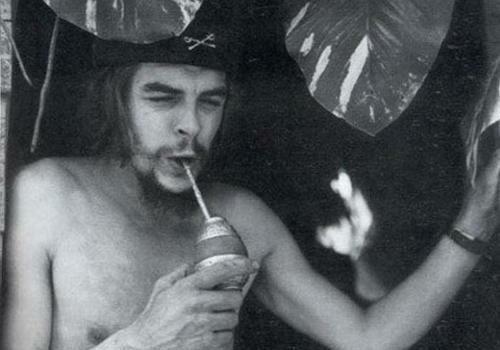 Just what is Uruguay’s secret? In this World Exclusive I divulge highly sensitive information which has been classified Top Secret by the AUF. Yerba Mate’ as described in Wikipedia: Mate’ is served with a metal straw from a shared hollow calabash gourd and the straw is called a bombilla. Yerba mate leaves are dried, chopped, and ground into a powdery mixture called yerba. Just why do we have the best strikers in the world? I know a lot of Uruguayan’s wont be happy with this information being released so close to the game. I just wanted to assure all the people in Ecuador that the result is not dependent on cheating, fixed referees, conspiracies or bribery of any kind. 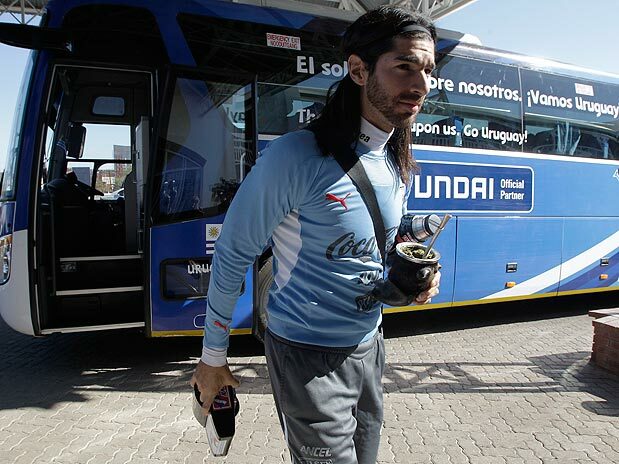 Uruguay have players that Ecuador could only dream of, players playing in the best leagues in the world. Uruguay can not only play at altitude but at sea level, our players have won awards from being the best player at a World Cup, best player at a Copa America, best young player at a Copa America to leading goal scorer in Italy and Spain. This is what Ecuador is playing against, even our coach has coached at the highest level. When was the last time a coach from Ecuador was in charge of AC Milan? I’m not going to go into the traditional ritual that is performed by La Celeste, only to say that it’s going to be a hard game with chances for both sides. The difference could well be the altitude but I won’t complain too much about that. What I will say is that our Captain is ready to continue the tradition and is in charge of the ritual. He is the Captain and will lead the way with La Garra Charrua and sights on automatic qualification to Brazil. The crazy one won’t be there but the spirit from all previous campaigns will. It’s been a while since I have written a post but we are now at the business end of the South American qualifiers. 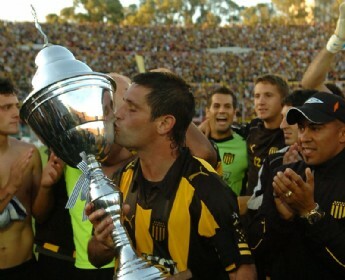 Peñarol are the current champions thanks to Tony Pacheco coming back from a broken leg that could have easily seen the end of his career. Peñarol now find themselves without a coach and at the bottom end of the table. 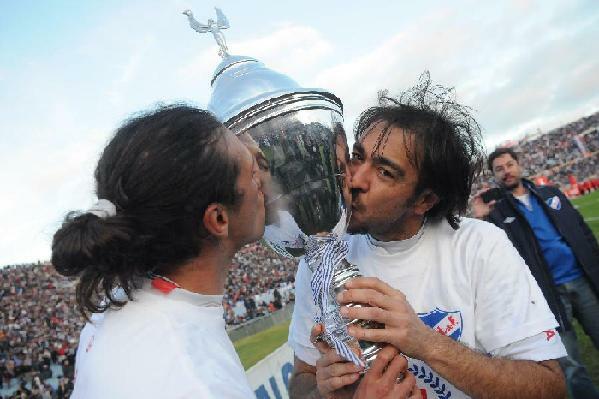 Nacional were the previous champions thanks to Alvaro Recoba, however now seems to be at the twilight of his career. I was in Uruguay to see Recoba win the title and thankfully the coach played him for the whole game. Now I come to the national team who is currently sitting in 5th position fighting for automatic qualification. There are 2 games to go as Uruguay face Ecuador away and Argentina at home. This brings back all the emotions some 4 years ago when we were playing Ecuador away, losing 1-0 and out of the World Cup in South Africa only to dramatically win the game 2-1 with the last kick of the game. Enjoy the footage. One point should secure our 5th spot and a playoff with Jordan. A win gives us the possibility of direct qualification. A loss means we need something from the Argentina game. To think we were so close to be eliminated during the last World Cup Qualifiers and the to see Uruguay in a Semi Final at a World Cup was an unforgettable experience that I will always have with me. The feeling that I had after the Ghana game and to see the Uruguayans in full song was magic. Enjoy the footage as I can here this song in my head as I get ready for the Saturday game. Lets hope both Suarez and Cavani are on fire, Lugano and Godin are rock solid and the midfield workhorse performance and Muslera catches everything in the clouds of Ecuador. Vamos Uruguay Carajo Vamos!!! The above picture is of Harry Kewell after the 1997 (2-2) draw to Iran in Melbourne in the World Cup Qualifier for France 1998. Australia had a 1-1 draw in Iran and did not qualify to France 1998 on the away goal rule. Both Iran and Australia ended up 3-3 on aggregate however Iran scored two away goals which sent them to France. The following qualification campaign play off was against Uruguay. Australia won the first game in Melbourne 1-0 thanks to a Muscat penalty and then Australia lost 3-0 to Uruguay in Montevideo to once again not qualify for the 2002 Korea/Japan World Cup. Australia had not qualified to the World Cup since 1974 and once again ended up having to qualify via a play off with Uruguay. The first game was in Montevideo and Uruguay won 1-0. The second game was played at Stadium Australia and Australia won the game 1-0 and as the aggregate was 1-1 the game went into extra time. Still 1-1 after extra time the game went into a penalty shootout which Australia won 4-2 to make the Germany 2006 World Cup after a 32 year absence. For the 2010 South Africa World Cup Australia was now in the Asian Confederation and qualified first in the group who had Japan (Qualified 2nd), Bahrain, Qatar and Uzbekistan. Now for the 2014 Brazil World Cup Australia (24th in the World) will play against Iran (48th in the World) and Iraq (84th in the World). The games will be played at the same stadium that Australia beat Uruguay to qualify for the 2006 Germany World Cup. I can understand the Football Federation using this marketing strategy as it was the greatest Australian Soccer moment. In reality there is no way you can compare Uruguay (4th in the World) to the games that Australia will play. Australia being in Asia has actually made it far more simpler to qualify for the World Cup and has made it difficult to have anybody too excited about the upcoming games. Now you have Brett Emerton offering all sorts of discounts in the hope that the stadium will be full. The reality Brett is there no comparison to the Uruguay game but I wish you all the luck in the world. The other issue I have with the FFA (Football Federation Australia) is the current administration selection. First we had a Rugby Union man, next an AFL man and now a Rugby League man. These codes are not only learning from the inside how FIFA work but are infiltrating our game with no real benefits to Football Australia. Look at the current mess with the Western Sydney Wanderers from wanting to cover up the Legendary Ray Price Statute at Parramatta Park to bringing the team into the league in a hurry to offset the Greater Western Sydney Giants AFL team. All the FFA considers is whether there are any ethnic connections to a team. When you look at the current teams that established football in Australia it was only a few that caused issues. One team I can think of that never had any issues would be Marconi in Sydney’s west. Lets look at that team. Marconi have their own Stadium, their own Club, their own training facilities, their own parking. The FFA will say but they have the Italian colours? Italian fans? However when I look at the current A League teams they seem to be very United Kingdom in their fan base which is one of the reasons I have not renewed my Sydney FC membership. I don’t feel in any way part of Sydney FC as they have slowly distanced themselves from my support. Only now that they have competition from the West have they started offering better membership packs and offers. Once again administrative Football in Australia works on reactive plays and not pro-active plays. FFA you don’t need to fear any of the other football codes. Rugby League, AFL, Union and Cricket will always be the number one sports in Australia. You need to respect these sports and focus only on Football. Legends like Ray Price should be respected as they represent a time when many respected Rugby League and I believe it was the best time for Rugby League before the Super League destroyed the game. No FEAR FFA as football will always BE. The time has come to say adios to The World Game on SBS. In the 80’s, 90’s and 00’s the program was a love and hate affair for me. In those days I could only see futbol from the BBC (ABC), which was an English Premier League program and then there was SBS. 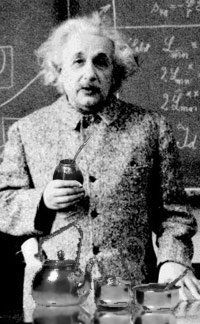 Not only did you need a special antenna to watch the channel but it was also dependent on the weather. SBS were and still are a European based futbol show. I have previously sent letters, phone calls and now with social media have had my fair share of criticism of the lack of South American coverage. I finally received a response many a year ago from SBS advising me that it’s a case of demographics (not in writing but over the phone). Australia has 1.1 million residents from the United Kingdom, half a million from New Zealand and 220 thousand from Italy. Compare that to 30 thousand from Argentina, 30 thousand from Chile and 10 thousand from Uruguay. All television programs live by their ratings and it would be in SBS’s interest to show a friendly game between England and Liechtenstein instead of a Copa America group game between Argentina and Brazil. For this same reason The World Game was quick to get on the bandwagon of the Suarez incident and why they were very quiet when it came to the John Terry incident. Les Murray wrote a blog called “Why Suarez is a Racist“ I wonder what Johnny Warren would have thought of that? Francis Awaritefe born in England was also quick to jump on the racist bandwagon. However when I ask any of the SBS journalists if it’s ok for Evra to say things about Suarez’s sister or to call him Sudaca (Derogatory term to South Americans) then there is silence. SBS wants to be on the side of the 1.1 million Brits then the 80 thousand odd South Americans. I don’t see the same type of articles written about John Terry. Not only was his trial set after the Euros but then quickly ended with no action. I don’t hear Francis Awaritefe or Les Murray have much to say on that matter. It actually feels fantastic to remove all the World Game journalist’s from my twitter and Facebook accounts. I no longer watch any of the SBS futbol programs which is quite a relief not hearing Craig Foster, especially David Zdrilic and/or Les Murray. We live in a time when I can watch the futbol and programs I want, and I choose to switch SBS off. I certainly wont be affecting their ratings but it feels great. My last discussion on an SBS related article, was relating to the booing that Suarez got. During London 2012 the Great Britain crowd tried to boo their way to a Gold Medal as they booed Suarez at every game even booing him during the Uruguayan National Anthem. They booed South Korea when they took the penalties that eventually knocked Team Great Britain out. Amazingly they booed Neymar the next super star of World Futbol in the game between Brazil and Honduras. What I find interesting is that everyone is just dismissing the booing. What about FIFA Fair Play? What about the Olympic code? What about the English FA doing something about it? Instead what we have is everyone trying to resolve the issue themselves. 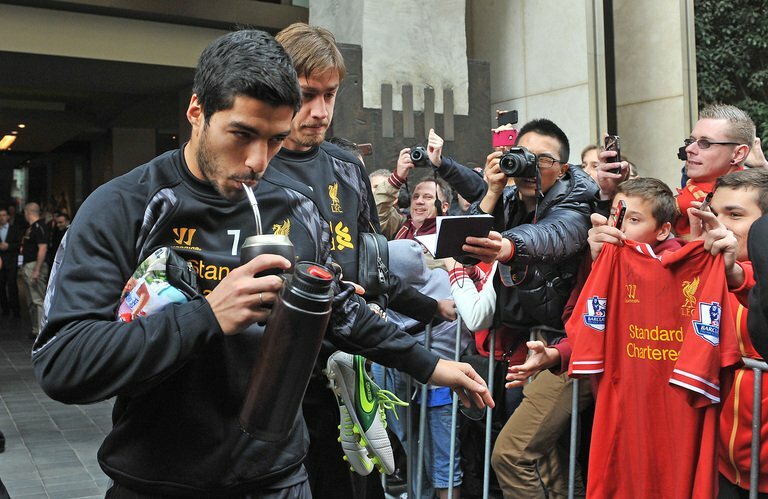 First there were the Liverpool fans wearing T-Shirts supporting Suarez (You’ll never walk alone). Then there was Kenny Dalglish who was apparently sacked for the way he handled the Suarez incident by the Liverpool owner John W Henry. 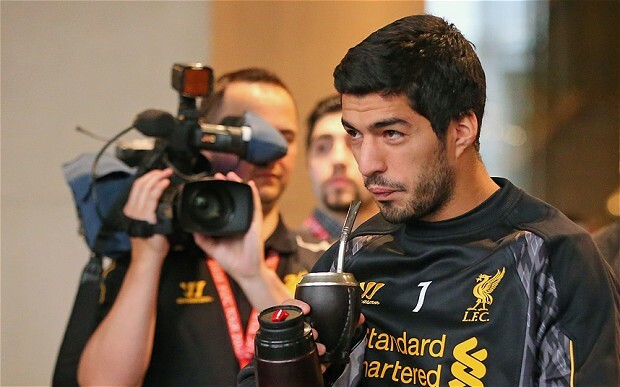 Now current coach Brendan Rogers has told Suarez to move on and put the Evra incident behind him. Well Brendan how can Suarez move on if the crowds are booing him at every game? How can he move on if Journalists continue to ask him if the booing is affecting him? Now because of the constant questions about the booing Suarez has decided to say they must be booing me because they are afraid of me. If you believe this like Matt Price of SBS who actually believes that Suarez doesn’t realize that the booing is because of the racist tag. Typical blog entry from The World Game. Well Matt it’s actually because he doesn’t want to talk about Evra and has been asked to not talk about Evra. When Uruguay win we say ” We Won” and when Uruguay lose we say “They Lost”. Today Uruguay lost 1-0 against Great Britain at the London Olympics which sends Uruguay out of the tournament at the group stage. To be disappointed you need to have an expectation. My disappointment happened during the UAE game as I could see that Uruguay were not playing well and both strikers of Suarez and Cavani were out of touch. This concern was never resolved by el Maestro as the pair were unable to score at London 2012. 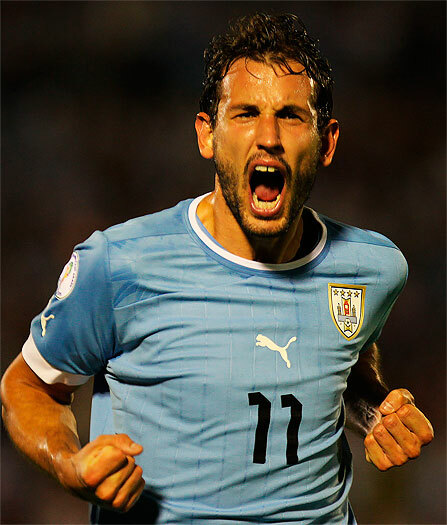 On paper Uruguay looked strong in attack but on the field Uruguay were weak in defense and out of touch in attack. The midfield was held together by el Cacha however there were no other defensive midfielders to get the ball back and maintain possession. I did not expect Uruguay to win today as in the previous two games el Maestro could not resolve the issues with the substitutions. Today however el Maestro froze and only made one substitution which was Lodiero for Vuidez. Sure we had chances to score but for the whole of the second half we knew we needed to score two goals without conceding to progress to the next round and Tabarez did very little! The stage was set for Suarez to silence the stadium and in return knock Great Britain out of the Olympics. I have written previous blog entries stating that the decider was going to be against Great Britain and if Suarez was there he would score and that he would be booed. What affected me the most (being Uruguayan) was hearing the crowd in Wales today boo the Uruguayan National Anthem. This is a disgrace not only for the Olympic Football Tournament but for Great Britain as hosts. It reminded me of the game against Australia back in 2005 when the Australian crowd booed the Uruguayan National Anthem. Suarez commented after the game that booing the Uruguayan National Anthem was disrespectful to the Olympians of Uruguay. Interesting to see that the FA, FIFA and the Olympic Committee do not comment with regards to this type of unsportsmanlike behavior. If it affects me I can only imagine what it does to the players on the field. 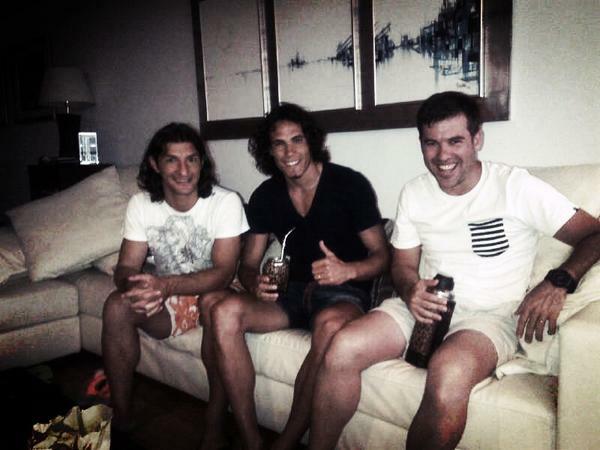 Having said that, Uruguay did not play well and did not deserve to progress in the tournament. What Uruguay did do was give it all they had. Remember this is an under 23 team who has gained valuable experience at an international tournament. These are young players that will slowly be introduced to the National Team. They got Uruguay to the Olympics which is a great achievement considering we have to knock out either Brazil or Argentina to qualify. Well done muchachos and thank you.